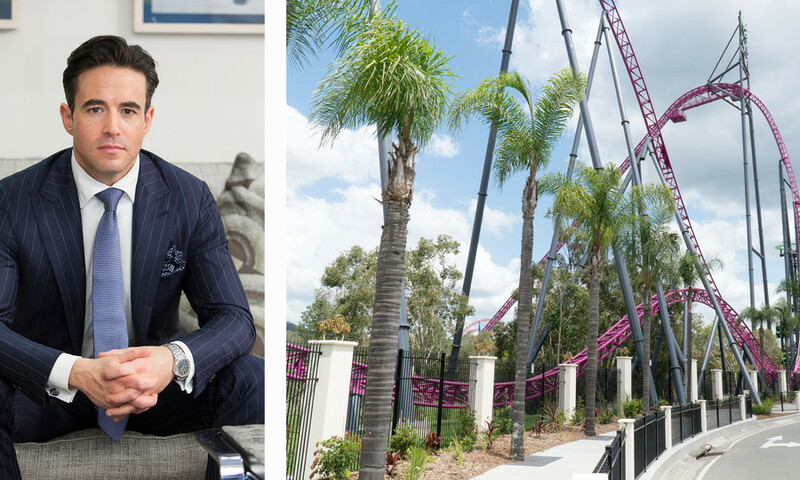 Parkz caught up with Clark Kirby, CEO of Village Roadshow Theme Parks, to discuss the big changes that have been unveiled this week and how these form part of a new vision for their Gold Coast theme parks. The scobby refurb sounds amazing, also can't wait for new rides at sea world hopefully we can get a corkscrew replacement soon. How refreshing to hear such passion coming from VTP's new Top Dog... BRAVO! Kirby is leading a Team of Rock Star Managers that are not afraid to shake things up by connecting with their People (employees) and Customers alike to make a real difference. And whatdoyaknow.. it actually works!!! 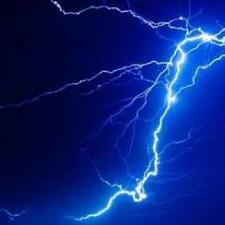 This has got to be the most exciting time for Village Parks Employees in a very long time! Hopefully the guys down in Coomera pay attention. I've been meaning to compliment Parkz since the earlier scoops from the DW CEO, but WELL DONE RICHARD AND TEAM! 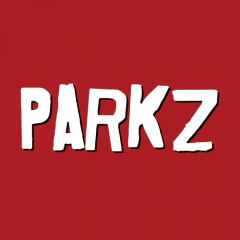 The professionalism of Parkz has no doubt led to these big bosses feeling comfortable sitting down and talking to you. The accuracy and insight of Parkz' journalism in relation to the theme park industry in this country far, far exceeds any mainstream media outlet, as we all know. And on this particular article, I am rather thrilled that Clark Kirby appears to be, from all indications so far, the CEO we were all hoping for for Village Roadshow Theme Parks. Everything he said was bang on the money. This is a guy that seems to know exactly what needs to be done. Let's hope he keeps up that momentum and sticks with the strategy! "We are planning something big and damn impressive for where the old log ride was." I don't think we need another DC Rivals. Something totally different, with a water / sea theme please! I feel like we have enough coasters in the park, a new dark ride or motion simulator would be nice. Clark walked past us this morning whilst waiting for rivals area to open at approximately 9.45am. I didn’t realise who he was at the time. I’m wondering whether the big new ride will be located where the castle is. I rode the monorail sweat box yesterday and soon realised there are so many areas within SeaWorld that need some tlc. The two main rides for adults are coasters. Yet neither are examples of a traditional coaster. Jet Rescue is great for what it is, and Storm is an ok family-friendly water ride for summer months. I bet there’s plenty of family members who were happy to go on Viking’s Revenge but won’t have a bar of Storm. What I like about this interview is it gives me a John Menzies era vibe. Passionate people who care about the parks and the people who visit them. They know keeping guests happy keeps them spending and coming back. Seriously - in 9 posts, you're already earning a reputation. We just saw the installation of a $30 million dollar rollercoaster - the single biggest attraction investment, and you're going to reference 'cheap coasters' ? More expensive doesn't mean better... and Flat rides are the filler that makes a park a full day. A park solely made up of gigantic coasters would exclude a lot of its potential market - and would go broke very quickly. I was talking about the rides that came before that and the parks really need to focus on family rides rather then thrill rides in the past seven years we have lost 3 family rides and only gained one while the other two were turned into a thrill ride and a Kidde ride, also we need a LTV revamp soon to make the parks better and more "theme park" rather then "fun park"
I don't disagree with you on the WB Kids revamp, however in terms of thrill v family, just take a look at what's popular. Thrills sell. I completely agree, and I'm hopeful that Village now shares this vision. Judging by the comments in this interview, it would seem likely they do. The increased pass pricing will help provide the funds to build these. I've been to Alton Towers and Disneyland, so I know what a really good theme park (as opposed to fun park) is like! Thrills do sell, and all good theme parks need thrilling experiences. However that's just one part of the package. A great theme park has much more than just thrill rides. Thrills can also be a part of more comprehensive rides. 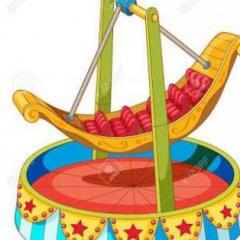 Also rides are just one of numerous types of attractions a great theme park should have. I'm pretty confident Movie World at least is on the right track. The increased pass pricing will help provide the finds to build these. The scobby revamp does seem to be a step in the right direction since there not just retheming it to DC like lethel weapon,hopefully they use more ips for rides I think that mad Max,Lord of the rings,blade runner and the Lego movie could be big hits. Note: excuse me for Grammer issues I'm currently on moblie. I know there's a separate thread on this so won't go into much detail here, but dining options are something all the parks could massively improve! If done well, it could be an almost guaranteed source of ongoing revenue as most guests are going to want food and drink while at the parks. I acknowledge a few improvements have been made (such as Dirty Harrys), but if VRTP took a look at the dining options at some overseas parks (like Alton Towers for example) they could get some great ideas. Have you been to Alton Towers? Stop keeping that a secret! I think the problem with saying 'they need different food options' is it's dictated by the market. People will buy what they want to buy, and parks will offer that. The only option I think worth genuinely exploring which is conspicuous by it's absense is a good quality brekfast at SW Top Terrace (could even open that area up earlier) and another bar or 2 with different things to snack on. Otherwise it's improving what's already there (better sandwiches, sushi more ice cream flavours) and maybe some other types of food (Asian for example). Given the number of Asian tourists who visit the parks, and the popularity of Asian food with aussies too, a good quality noodle bar is a guaranteed winner. Theyd be more likely to try and enjoy more local cuisine and flavours.